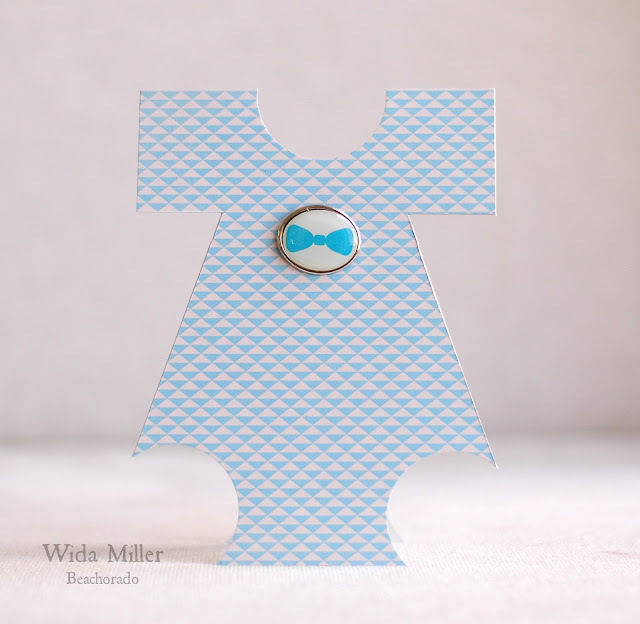 Making a shaped card without using a die cut machine can be tricky, but I set out to do just that. I found a great tutorial on how to make baby onesie cards using punches and standard card stock HERE. Using the versatile Special Delivery collection from GCD Studio's made finding the perfect papers easy. I had so much fun making the first card that I created another! This card is a bit larger than standard, it measured 5x6inches. I used the pretty papers from the Special Delivery Collection by GCD Studios and my scalloped circle punch to create the trim. A sweet brad also from the collection gives it a finished touch. The cardstock had some texture to it, so I left it be, but you could dry emboss a texture onto plain cardstock if you wanted to. A close up of the boy card...It is smaller. I started out with a standard 4.5x5.25 inch card base. Again the brads from this collection work great for a boy or girl themed project. I saw this sentiment and it made me chuckle a bit...hope you do too! Ha, ha! 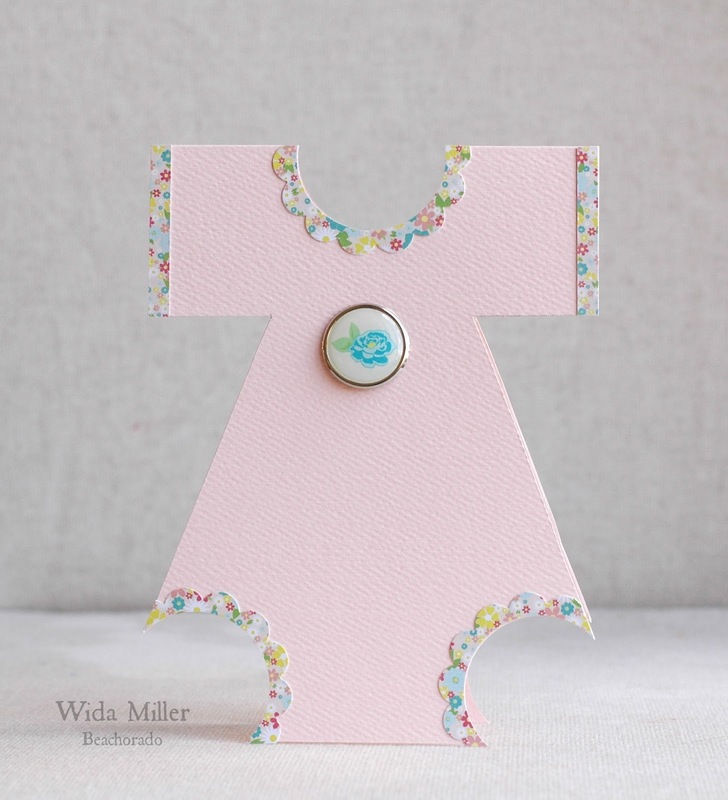 Love the inside sentiment...and the little trim is just adorable. Those brads really add to the cuteness! Ha! Definitely not here! These are so cute though, I love the 'lace' you added to the girl one! How adorable....right down to that sentiment! And to think they were both made with punches! These are so cute! Love that bow tie embellishment. That sentiment is so hilarious! Seriously cute! Those brads were the PERFECT embellishment! Those are too sweet! I love the edge detail on the girl's and those brads couldn't be more perfect! Your sentiment is my sentiment exactly! Great cards- you're right about eschewing all the 'tools' sometimes! Love the little 'buttons'. That sentiment is the BEST baby one I've seen in ages. I did laugh and intend on using it regularly ( if that's ok with you!!). So angular and precise are you sure you didn't use a cutting machine? ;) These are adorable Wida! The sentiment is so funny. EEEK! Love these sweet little onesies! That sentiment cracked me up! 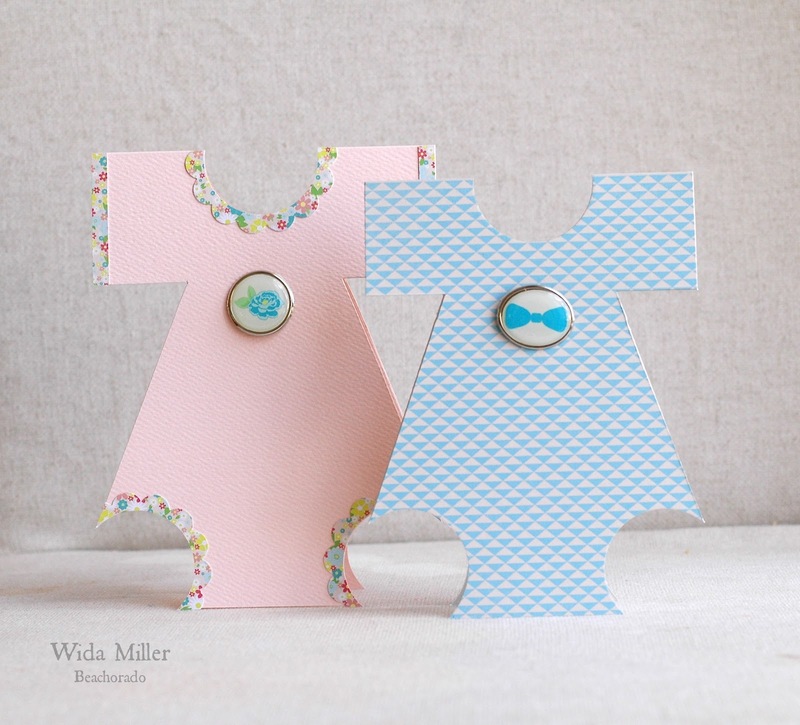 Great shaped cards perfect for baby! Love the little lacy trims!